I have been clamoring for a Gaga jazz album since she did “Orange Colored Sky”. 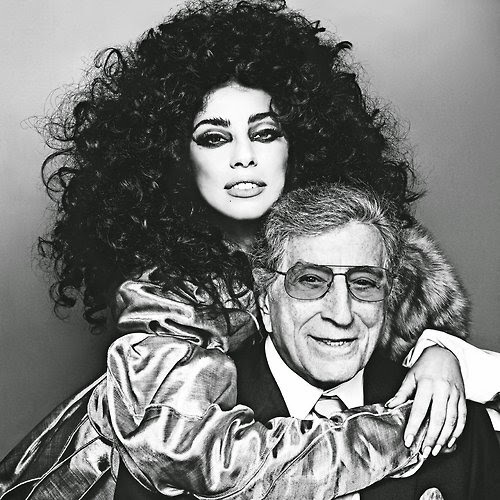 I’m glad that the great Tony Bennett has taken her under his wing and given her the chance to do this in style. Gaga is a lot of pomp and glitter, but when it comes right down to it she’s a versatile songstress. The lead single from the Cheek to Check is “Anything Goes”. You can watch it here. The publicity photo for this whole thing is Diana Ross-in-scope epic. It was shot by Steven Klein. Still, a small part of me is sad to think that all this could’ve been with Amy Winehouse instead. Oh well, here’s to September 23rd!